INDUSTRY.co.id - Jakarta - The holding company of the State-Owned Enterprise (BUMN) said it would be responsible to build smelters or refining minerals from PT Freeport Indonesia if it had agreed to divest the majority 51 percent owned by Indonesia. This was stated during the Coordination Meeting between BUMNs in Bengkulu. 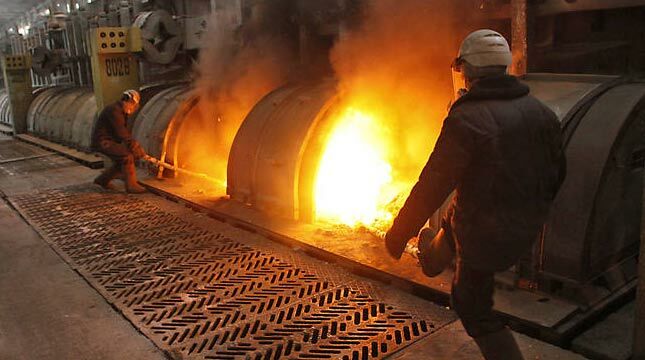 Building a smelter is a condition proposed by the Indonesian government to enable Freeport to extend its business license to do so. In addition, PT Freeport Indonesia has the potential to increase its holding assets to Rp200 trillion if it is 51 percent owned by PT Inalum. "If the divestment process of Freeport shares is smooth then it means that the share holding of BUMN mines can increase, the range becomes Rp200 trillion," he told the media crew. Currently, according to him, the development for the divestment process is still in the process of negotiation process and involves various parties to the Regional Government, it is expected that the offered value can be handled by the holding of SOE mines. Assets from the holding of State-Owned Enterprises (SOEs) in the mining sector are expected to range from Rp87 trillion to Rp90 trillion. There are three members of the state-owned mining company PT Aneka Tambang Tbk (ANTM), PT Bukit Asam Tbk (PTBA) and PT Timah Tbk (TINS) will hold a Shareholders General Meeting (RUPSLB) on November 29, 2017. The agenda of EGMS is to amend the articles of association in relation to the transfer of majority ownership from the original state of the Republic of Indonesia to the ownership of PT Inalum (Persero) wholly owned by the state.